Face the Music – and dance! The outstanding luxury, glamour and innovation which The Savoy brought to the British hotel business when it opened in 1889 attracted all the most aristocratic and famous people in London society to enjoy the facilities now open to them – most notably Edward, Prince of Wales, later Edward VII, but for the moment the unquestioned leader of fashion and fashionable living. The Prince frequently enjoyed dining at The Savoy, with his male friends, with his lady friends, and sometimes even with his wife. In 1895 The Prince and Princess of Wales were invited to The Savoy for the wedding breakfast of the daughter of the Duc d’Orléans, the French Pretender, and HRH Prince of Savoy-Aosta. 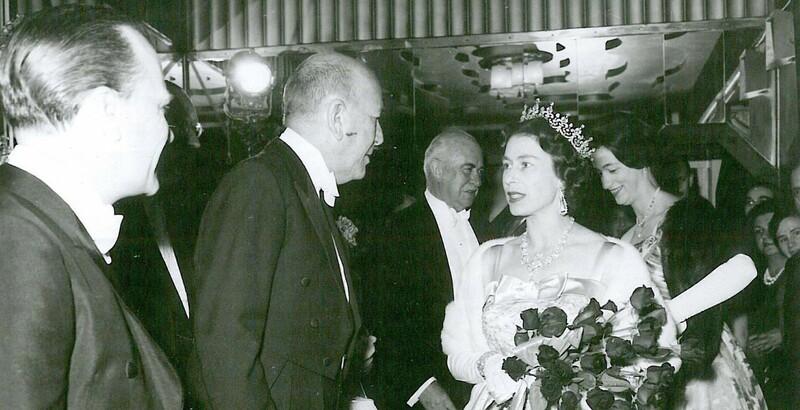 From this early relationship with the future King and Queen, The Savoy has remained a popular destination for the Royal Family, individually or en masse. From Queen Mary handing out awards in the 1910s, to the Queen Mother popping into the restaurant for lunch in the 1990s, from the young Princesses Elizabeth and Margaret coming in for dinner and dancing in the evenings in the 1940s, to Princess Diana as the belle of The Savoy’s Centenary Ball in 1989, every member of the British Royal Family has made public appearances at The Savoy, and also enjoyed the hotel in a private capacity. In 1946 the entire Royal Family had their first proper outing together since before the Second World War, at the quiet, private wedding of a war widow to her second husband, a distant relative of the Queen. The reception was held at The Savoy where the wedding photographer snapped a shot of the chief bridesmaid, Princess Elizabeth, with a dashing young man in uniform. That was Prince Philip of Greece, and the couple were in fact already engaged. 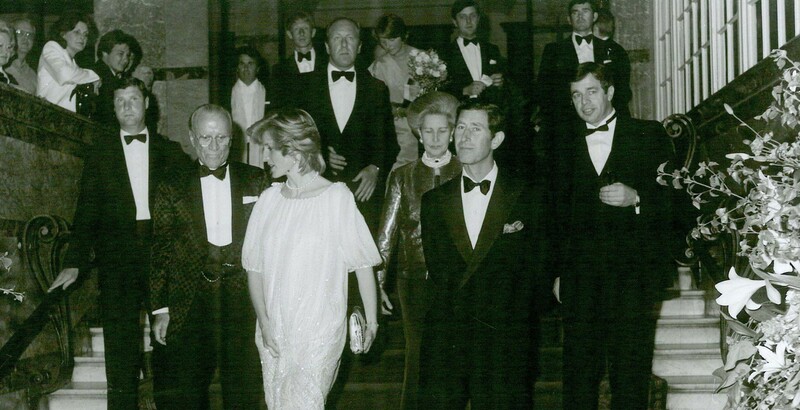 But this photograph, taken at The Savoy, was the first time the relationship came to public attention. The happy couple would later celebrate at least one wedding anniversary with a small dinner, held in one of The Savoy’s private dining rooms. Over the years the relationship between the hotel and the Royal Family has evolved, reflecting the general relaxing of social divisions over the decades. Not one of Edward VII’s siblings or children would have considered working for a living, but Princess Margaret’s son, Viscount Linley, designed and created furniture for one restoration of the Front Hall in 1996. 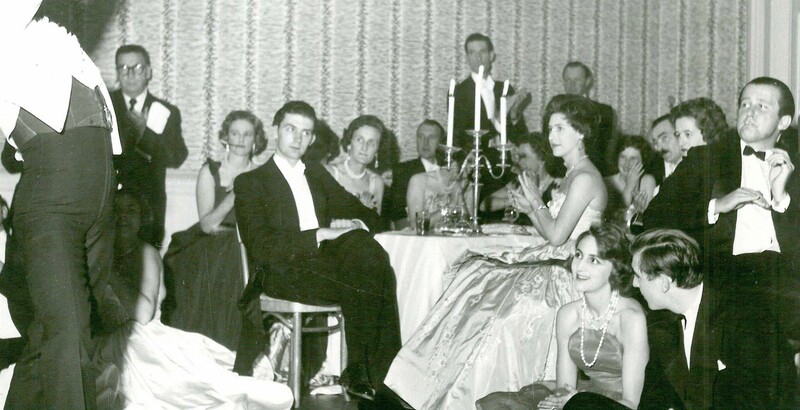 Princess Margaret herself, once a familiar figure in a couture ballgown at Savoy parties, returned to the hotel for the unveiling of the Front Hall, and to support her son in his successful furniture business. 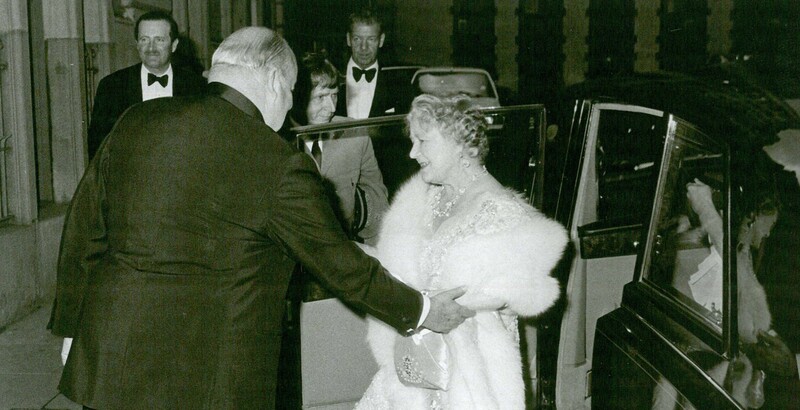 Even the Queen Mother moved with the times, and cut a ribbon to officially open the renovated and refitted Restaurant Kitchens in the 1980s, perhaps less as Royalty, and more in her capacity as a regular diner in The Savoy’s main restaurant, where the new kitchen would benefit her directly. The Savoy closed for a major restoration in December 2007, and reopened in October 2010. The official reopening a few weeks later was performed by the present Prince of Wales, HRH Prince Charles, in the presence of the hotel’s owner, HRH Prince Alwaleed Bin Talal Bin Abdulaziz Al Saud, in November 2010. And in 2017 a large portrait of Her Majesty the Queen by Henry Ward, commissioned by the Red Cross to mark her role as patron for six decades, was unveiled in the Upper Thames Foyer at The Savoy. From the teenage princess who came to The Savoy for fun nights out, to the matriarch at the head of the Royal Family, the Queen now sits in the heart of The Savoy, where she belongs. © Copyright 2018 AccorHotels. All rights reserved.